Since the discoveries made by a Dutch sailor and adventurer Willem Danszoon and a British navigator James Cook, Australia has been attracting newcomers, sailors and visitors. The last settled among continents, Australia offers numerous tourist sights. It is a haven for adventurers and wild nature lovers. From the deserts in the core, via the cities on the shore, to the islands in the Ocean, Australia is open and guest-friendly to everyone who comes to this beautiful country in search of a better life or as for a tourist trip. Two most well-known Australian cities, Sydney and Melbourne are visited by millions of tourists every year. They are a mixture of old time European identity and a brand new Australian spirit and customs. Sydney is usually mentioned because of its large harbor and the famous Sydney Opera House, which is definitely a must-see place, together with the nearby Sydney Harbor Bridge. This city is some sort of Australian New York, sue to its haste, cosmopolitan attitude and dealers from all over the world. Melbourne, on the other side, is a little bit more an artistic place, more similar to European cities. It is the most famous for Australian Open, one of four Grand Slam tournaments, which is held every January and which attracts many tourists. 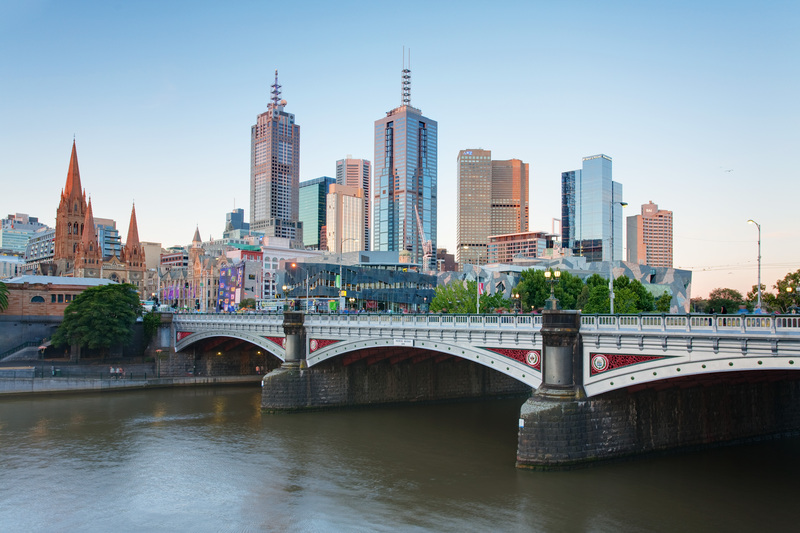 When to visit Melbourne finds best travel deals, do not forget to visit Federation Square, a real Mediterranean a like place, where Melbournians go for walks, where they protest or celebrate important events. Despite having a long coastline (the mainland coastline is 22,292 miles long), Australia offers a diverse and mysterious inland. So, when visiting this gem between the Pacific and Indian Ocean, think about renting a strong SUV and going on a road trip. Make a meticulous road plan, bring a navigating device or a good map, book accommodation in advance to avoid sleeping in your car (and listening to different unknown animal sounds by night) and meet the natural basics of Down Under. Also, do not get surprised by off-road drives, by powerful rivers, through picturesque gorges and wind-swept deserts. After you have won your scout badge for roaming in the wilderness of the Australian inland, maybe you should look for marine refreshment and visit an island. Tasmania is the most obvious choice for starters. However, if you want to feel a little bit more of Australian spirit, you should opt for a smaller and less known island, such as King Island, which is situated to the north of Tasmania. King Island offers a genuine Pacific ambiance and scenic landscape. This island is perfect if you want to escape from the hurry of Sydney, stuck-up Melbourne or too savage Australian inland. On King Island you can dive, swim, eat tasty traditional food and take a rest from the world as we know it. If looking for a genuine Australian place, you must go to the largest coral reef in the world – the Great Barrier Reef. It is the largest living organism in the world and it would be a shame not to visit it. Although is has suffered a lot of damage recently, mostly due to the effect of the global warming, this natural phenomenon still attracts many tourists. Just choose a reef-friendly guide and enjoy this Australian beauty. There are many places in Australia that one should visit while spending time on the Blue Planet. This is only a short overview. Take your time, make a good plan and leave for Australia. You will see large modern cities, breathtaking natural sights and wonderful people.